J.T. and Margaret Talkington came to Lubbock in 1946. He was with a CPA firm expanding into West Texas. She decided a high-fashion store for women would bring a level of sophistication to the South Plains. They achieved success over their decades in business while still finding time to serve their community, always with the goal of making Lubbock a better place to live and work for all its residents. Even after their deaths, the couple continues to elevate the sophistication of Lubbock and Texas Tech. Through their personal giving and the ongoing work of the J.T. & Margaret Talkington Charitable Foundation, the couple’s philanthropy has an enduring and widespread effect on the university system. Added all up, their total giving over the years is impressive, but it fails to capture the impact of all those gifts on students and faculty at Texas Tech University and the Texas Tech University Health Sciences Center — the two Texas Tech institutions that call Lubbock home. Providing undergraduate scholarships and graduate fellowships that benefit almost 300 students a year. Creating six permanently endowed chairs to recruit specialists in internal medicine to the Texas Tech University Health Sciences Center. Sustaining the first comprehensive student-athlete leadership program of its kind in the nation. Investing in a vision for the arts in Lubbock and West Texas. 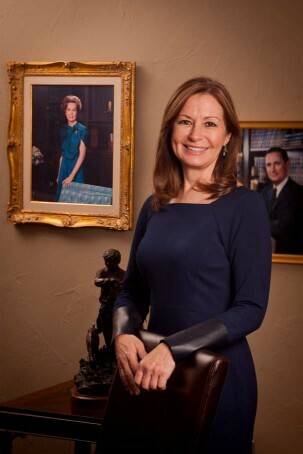 Their decades-long commitment to giving spurred growth that continues to better the Lubbock community and remains a testament to the vision of two of its most charitable civic leaders. President Lawrence Schovanec, center, stands in his office with Texas Tech University scholarship and fellowship students who benefit from endowments funded by J.T. and Margaret Talkington. “J.T. and Margaret invested in scholarships that make it possible for students to pursue higher education because they believed in the value of learning,” said Duncan. Their giving established endowments that continue to benefit undergraduate scholarships and graduate fellowships for Texas Tech University students. Students walk outside J.T. & Margaret Talkington Hall at Texas Tech University. 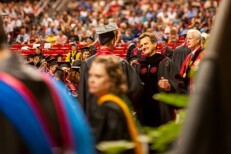 But with Lubbock never far from their mind, the couple also provided opportunities at Texas Tech University for high school students from Lubbock County and graduates of South Plains College. In recognition of their largest contribution to graduate fellowships, which established funding for about 100 students, the university named a student residence hall J.T. & Margaret Talkington Hall. 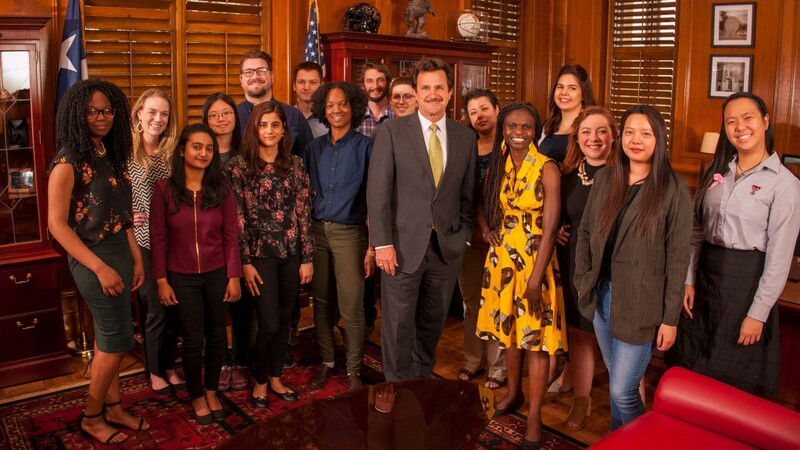 Texas Tech University President Lawrence Schovanec had a group of Talkington scholars in his office and asked what colleges they were attending. He was impressed with the number of different areas of the university they represented. Some of them were also from foreign countries. “People come from all over the world to Texas Tech and study, and that’s aided by J.T. and Margaret Talkington,” said Schovanec. The scholarships ensure access for generations of future Red Raiders, but they also underscore the growing significance of private contributions to higher education. “As we face challenges of state support, you can’t say enough how important philanthropy is going to be…and that’s what the Talkingtons did,” said Schovanec. President Tedd Mitchell stands in the lobby of the J.T. & Margaret Talkington Department of Internal Medicine at the Texas Tech University Health Sciences Center's Lubbock campus. Dr. Cynthia Jumper was Margaret Talkington’s physician and then-chair of the internal medicine department at the Texas Tech University Health Sciences Center when the Talkington’s foundation made a significant investment in research and patient care. Today, she’s vice president for health policy at the health sciences center and holds one of six endowed faculty chairs funded in the J.T. & Margaret Talkington Department of Internal Medicine. “The fact that they gave us six of those chairs is pretty incredible. But that’s illustrative of how they dealt with this community in general. 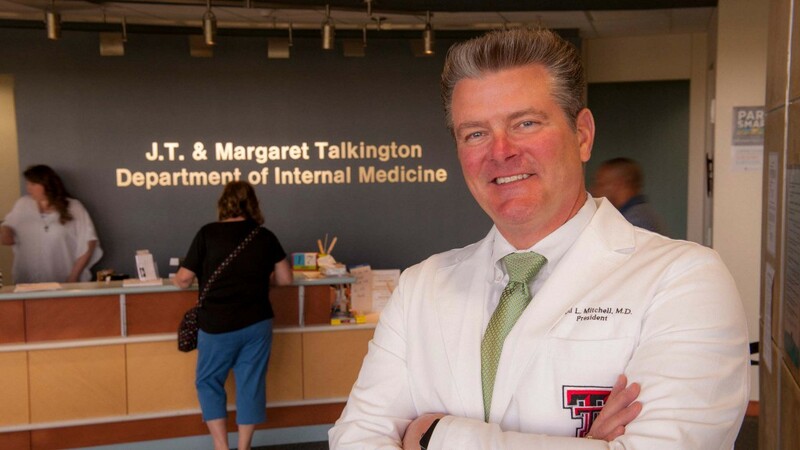 It’s foundations and families like [the Talkingtons] that really take a city like Lubbock to the next level,” said Dr. Tedd Mitchell, president of the Texas Tech University Health Sciences Center. Endowed faculty chairs are a game-changer for higher education institutions. “One of the strengths in having chairs is it boosts your capacity to do two things — to recruit the type of talent you want and to retain the A players you have,” said Mitchell. The magnitude of the Talkingtons’ gift ensures those faculty members have the resources to make a difference. “For the faculty member who is awarded a chair it gives them an available fund they can utilize…whether for educational work, research work, community service work.” he said. Mitchell wants the chairs filled by faculty who represent the best of what Texas Tech University Health Sciences Center is trying to do. “That’s to make sure the students’ experience and our residents’ experience prepare them with a baseline in internal medicine training they can take anywhere,” he said. But it takes skill with both patients and students. “In order to do that, you have to make sure the folks who hold those chairs are not just good clinicians themselves, but also good at training other people. Those are not necessarily one in the same skill,” said Mitchell. And more and more, universities rely on the type of philanthropy the Talkingtons provided to invest in new programs or grow their engagement with the communities they serve. “If you look at what we do at the health sciences center, if you look at what is done at the university, so much of our ability to go above and beyond is based on philanthropy,” said Mitchell. 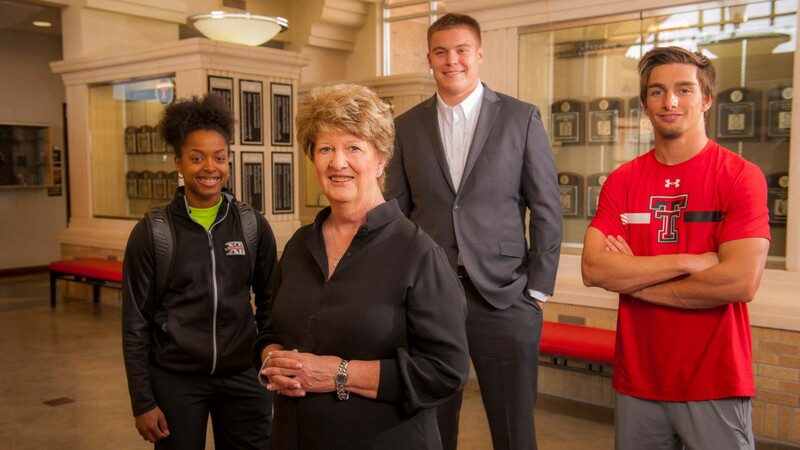 Leadership academy co-creator and Associate Athletics Director Marsha Sharp stands with student-athletes in the lobby of the Marsha Sharp Center for Student-Athletes at Texas Tech University. “Margaret would have been a big fan of the leadership academy, and so would J.T.,” said Lubbock Mayor Dan Pope. Now in its sixth year, the J.T. & Margaret Talkington Leadership Academy was launched by Kirby Hocutt, Texas Tech director of athletics, and Marsha Sharp, associate athletics director and head coach emerita. It gives student-athletes at the university tools they can use to perform better at their sport — but its mission is to create great people. As part of Hocutt’s mission to educate, serve and grow fearless champions, the leadership academy was so critical to the future of Texas Tech Athletics that it became a cornerstone of the university’s first fundraising effort focused on student-athletes, The Campaign for Fearless Champions. Through the Talkington’s generosity, the groundbreaking leadership and career development program is supported by an endowment that will sustain the program well into the future. J.T. & Margaret Talkington Lectureship Series. The results are evident in student-athletes’ lives. “It’s fun to have them become such a great version of themselves because they’re so capable. They should be best leaders this country produces,” said Sharp, who led the Lady Raiders basketball team to the 1993 national title. A Lubbock elementary school student, top, eyes a pitch from a Texas Tech student-athlete at the Tomorrow's Leaders Field Day at the Gerald and Carol Meyers Indoor Soccer Facility in October 2017. 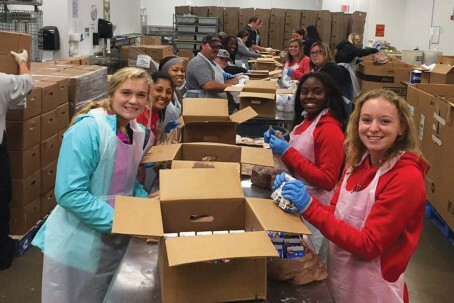 Above, some of the more than 100 student-athletes who volunteered at the South Plains Food Bank to pack food boxes for Hurricane Harvey relief efforts in September 2017. 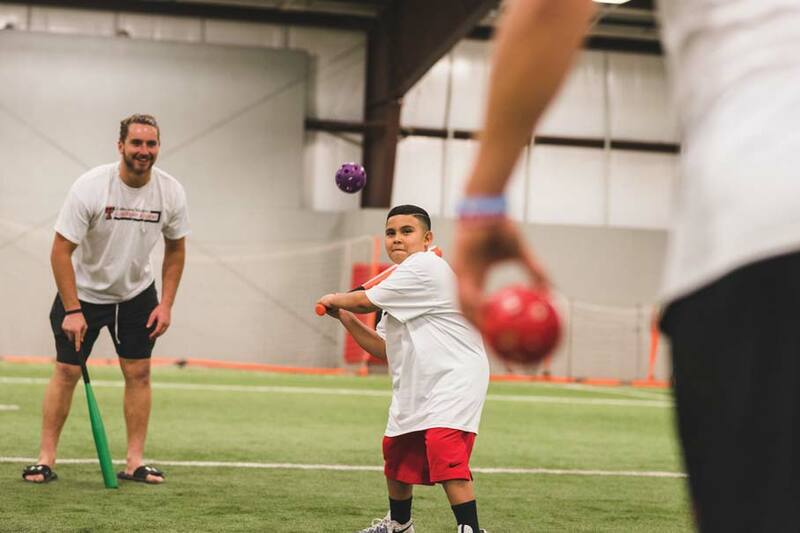 Doing the right thing at Texas Tech includes giving back, and student-athletes volunteer more than 1,000 hours in the local area as part of the academy’s emphasis on the community. Projects this past year benefited Lubbock charities such as South Plains Food Bank, Lubbock Meals on Wheels and the Special Olympics. Student-athletes also spent time reading to kids in local elementary schools. Sharp got to know Margaret Talkington while working on some community projects. “Margaret was especially interested to help young people have strong self-esteem,” she said with an emphasis on civility, ethics and leadership for children across the community. Sharp also appreciated the couple’s support for the Lady Raiders. “J.T. and Margaret were fans of both basketball programs at Texas Tech,” she recalled. “They and about ten couples had a longstanding tradition of getting a trolley from someone’s house to come to games — particularly when we were in the old [Lubbock Municipal] Coliseum — then go back to the house and have refreshments,” said Sharp. She remembered they would come to games early, waving from the stands. “It was always great to see them. How cool to gather all your buddies and have a standing tradition like that,” she said. And Margaret’s impact lives on in another way, said Sharp. “I work with people at Carillon [retirement living community] and some of them still have Margaret’s clothes and hats, which speaks to the quality of her merchandise,” she said. Texas Tech University System Chancellor Robert Duncan, center, joins officials from the Texas Tech University System and the J.T. 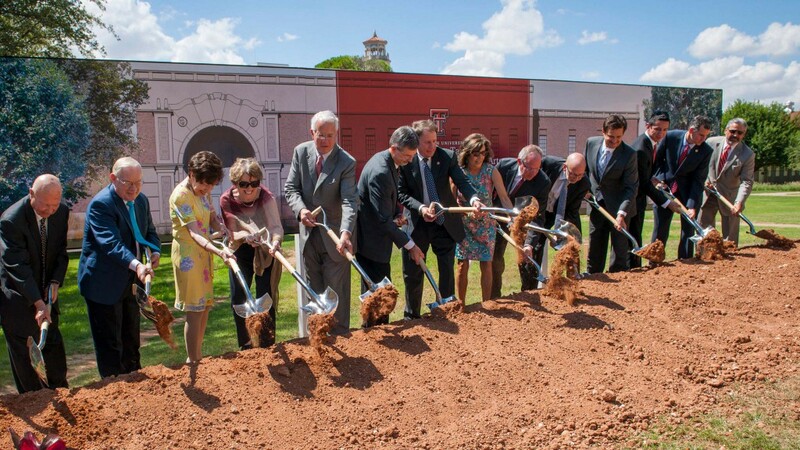 & Margaret Talkington Charitable Foundation as they break ground on the new School of Theatre & Dance Complex at Texas Tech University on August 14, 2017. The arts play a prominent role in Lubbock history, and Texas Tech University’s reputation is no less sterling. It’s the only public university in Texas nationally accredited in all four programs of art, music theatre and dance. The results speak for themselves with a roster of alumni that include internationally recognized artists, educators and performers. Chancellor Robert Duncan speaks at the groundbreaking ceremony for the new School of Theatre & Dance Complex held in the Charles E. Maedgen Jr. Theatre on August 14, 2017. 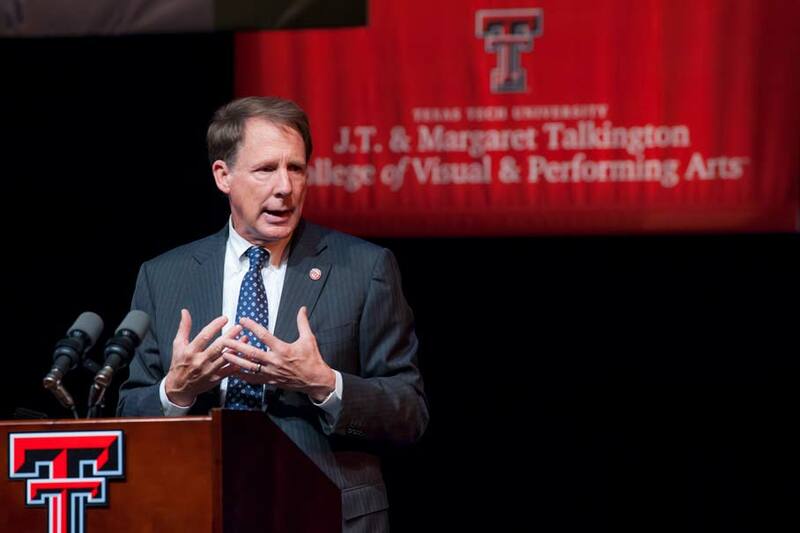 “Since becoming chancellor, I have experienced the incredible degree of excellence in the arts at Texas Tech University and in the Lubbock community. I believe this excellence deserves impactful investment so we can grow and be fully recognized on a national scale as a hub for distinction and expertise in the arts,” said Duncan. 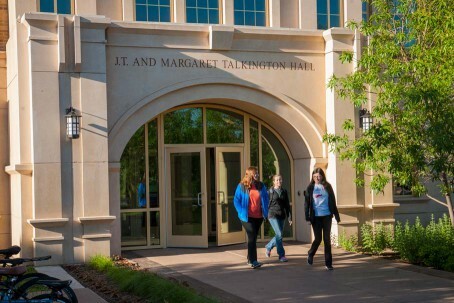 Through their foundation, the Talkingtons made a significant gift toward Duncan’s vision for the arts — the largest gift in the history of the college that now carries their name. In recognition of the couple’s longtime investment in the arts and sustained giving to Texas Tech, the college was later named the J.T. & Margaret Talkington College of Visual & Performing Arts. The gift kicked off construction of the new School of Theatre & Dance Complex, a project that will renovate and expand the Charles E. Maedgen Jr. Theatre building with the first upgrades in more than 50 years. An architectural rendering of the School of Theatre & Dance Complex currently under construction at Texas Tech University. Design plans call for dedicated teaching and rehearsal spaces not present in the current building as well as theatre upgrades that tick all the boxes. The expansion will take the teaching and performance center to a new level, but Duncan is equally excited about the potential to expand the college’s outreach in Lubbock. “J.T. and Margaret truly opened the door to a new era for the J.T. & Margaret Talkington College of Visual & Performing Arts. The growth and expansions made possible by J.T. and Margaret enable us to enhance the impact our students and faculty make on our communities through the arts,” he said. It’s an impact that’s hard to miss. A Whiteside Elementary School student receives instruction on bowing a cello from Texas Tech student Allison Haynie as part of the Texas Tech University String Project. With more than 800 public events each year, the college is a leading provider of quality arts performances and exhibitions for the region. Add to that a full complement of educational programming that includes the Saturday Morning Art Project, Texas Tech University String Project and after school programs for the East Lubbock Promise Neighborhood Grant. 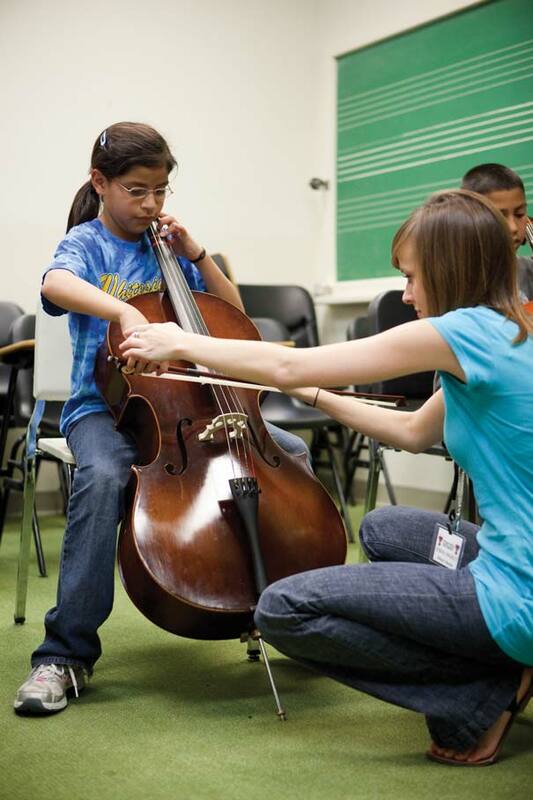 Students and faculty also give their talents to community art ensembles, performing with the Lubbock Symphony Orchestra, Ballet Lubbock, Lubbock Moonlight Musicals, Lubbock Community Theatre, and countless civic and religious ensembles. “The Talkingtons’ impact on the J.T. & Margaret Talkington College of Visual & Performing Arts goes far beyond letterhead and facilities; they understood the potential of the arts to change lives. I couldn’t think of a better name for our college to bear,” said Duncan. And that may be the Talkingtons’ ultimate legacy to the university system born on the Texas Plains. 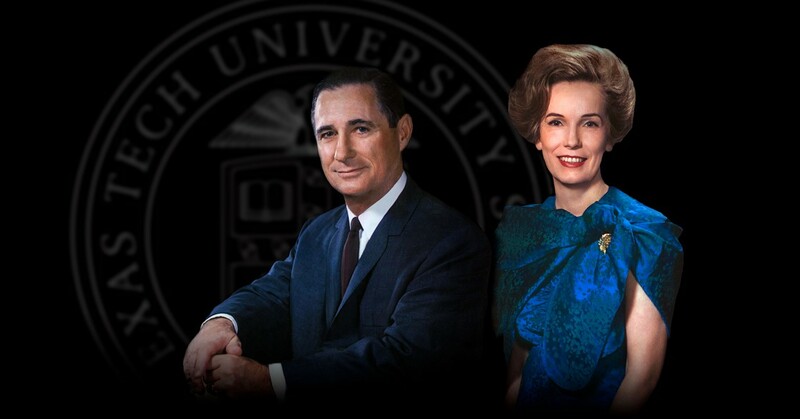 By strengthening the bond between Texas Tech and its hometown, the couple did their best to ensure the success of both. “From a philanthropic standpoint, the Talkington mark on Lubbock is nothing short of remarkable. Many generations will be beneficiary of their generosity,” said Pope. The mayor’s counterpart at the Texas Tech system agrees. “J.T. and Margaret were tireless in how they served and loved the Lubbock community. The Talkington name is seen all over our city for a good reason: they believed in how this community could thrive and worked to see it through. We have so much to learn from the lives and legacy of the Talkingtons,” said Duncan.